Christian Plumbing & Tile, Inc. is a family-owned and operated full service plumbing and tile contractor. 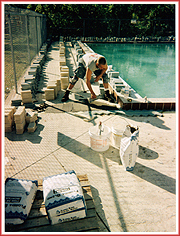 We take pride in our professional, ethical and highest quality workmanship and service at competitive prices. 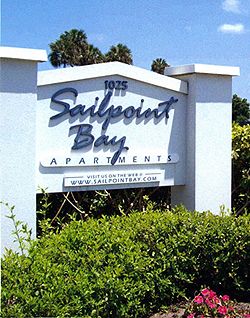 We have served Volusia County area home owners and businesses for more than 30 years. Experience counts - Over many years of quality, professional service, we have acquired the ability to quickly and accurately diagnose the scope of work that needs to be done. This makes it possible for us to provide you with a realistic and fair estimate before any service is begun. strive to achieve our goals as individuals and as a team. Whether the job is residential or commercial, large or small, simple or complex, an expert plumber from Christian Plumbing & Tile, Inc. can provide the services you need. We service and provide an excellent range of products that fit every need and price range. Bathroom and Kitchen remodeling projects are becoming increasingly popular. Updating your kitchen and bathroom requires careful planning, and precise execution. Christian Plumbing & Tile, Inc. can add beauty, luxury and style to your bathroom or kitchen. By performing both plumbing and tile services, we can help you stay within your budget limits! We are a referral business with lifetime customers. Do a good job for someone and they will tell their family and friends. We want you to become a customer. For more information or to schedule service from our team of plumbers, contact us today.